In a good month, public relations executive Farah Azizan gets in an extra 16 hours of paid work - as a deejay. The 29-year-old has freelanced in the music industry for more than three years, and is upfront about it with her employer. "From the first interview, I told them I deejay and these are the skills I have," she said, adding that both jobs require her to be sociable and present herself well. Her stand is clear - her day job is her first priority. "I try to reject gigs that clash with work hours," she said. "My boss is very understanding about it and we have a good working relationship," said Ms Farah, who picked up deejaying as a hobby eight years ago and started getting paid gigs after building up a name for herself. More workers like Ms Farah, who is married to a fellow deejay, are taking on two or more jobs, as vacancies rise and work becomes generally more flexible. Biennial data from the Manpower Ministry shows that the proportion of employed Singaporeans and permanent residents holding multiple jobs rose from 1.3 per cent in 2008 to 2.5 per cent, or about 52,600, last year. About 28,500 more people now hold two or more jobs, although the data does not specify if the work is full-time, part- time or freelance. One reason for the growth could be the number of job opportunities opening up as foreign workforce growth slows. "Firms are more willing to offer second jobs to those who are already working at another full-time or part-time job," said Lee Kuan Yew School of Public Policy economist Hui Weng Tat. With the ratio of vacancies to unemployed people on the rise, companies and employees alike are beginning to accept freelance and part-time work as nothing unusual. "In the past, when jobs are not ample, most people would prefer a stable full-time job," said DBS economist Irvin Seah. Companies now also benefit from becoming more nimble by employing contract staff to serve temporary needs, he said. With the growth of the service sector and e-commerce, more jobs are not deskbound. "Even employers are getting a little wiser and offering more flexibility and flexible hours," said OCBC economist Selena Ling, adding that this frees up people to take on more projects. The rising cost of living may also mean low-wage workers have to shoulder more than one job in order to make ends meet. Besides the additional income, a second job can provide experience in a different field which could prove useful in future, human resource experts said. "I would encourage people whenever they can to develop multiple skill sets," said Mr Paul Heng, founder and managing director of NeXT Career Consulting Group. 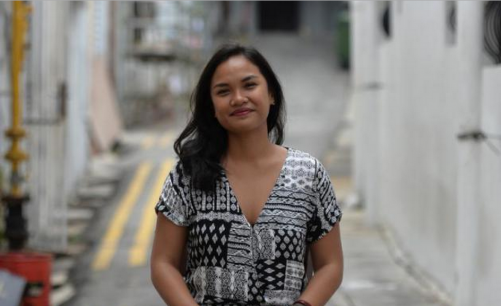 Legal counsel Jaime Lee, 29, who works in a commodities trading company and runs design and stationery boutique The Paper Bunny, said she had no idea if the venture would be successful when she started it. "But there's a ton of things I've learnt along the way about running a business, like managing finances and suppliers, marketing and website design," she said. Employees should stay away from working in competitors' firms, and be mindful that their second job should not jeopardise their main job. "They can end up exhausted without increasing their credibility by doing extra work," warned Ms Linda Teo, country manager of recruitment firm ManpowerGroup Singapore. Ms Farah's employer, Mr Joseph Barratt, managing director of Mutant Communications, said he is not worried if she occasionally goes to work tired after a late night of deejaying. "I trust her to get her job done and to deliver when it counts," he said.